In just a few hours, Cupertino will be having one of the most-followed event in the world with iPhone 6 and possibly an iWatch ready to be launched. As the time nears though, we are looking at more and more leaks surrounding the devices. We already saw a complete specs list of iPhone 6 getting leaked today showing all of the details of the flagship. Right now, we are looking at leaked iPhone 6 benchmark which reveals processing chip and RAM details of the smartphone. 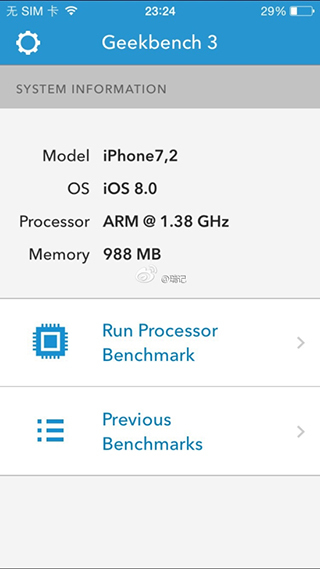 This iPhone 6 benchmark is spotted on GeekBench’s website and have been sourced by the folks at GforGamaes. The iPhone 6 benchmark reveals an A8 chip which would be dual core like its predecessor, the iPhone 5s. This leaked image also shows that iPhone 6 will retain the RAM of iPhone 5s at 1 GB. 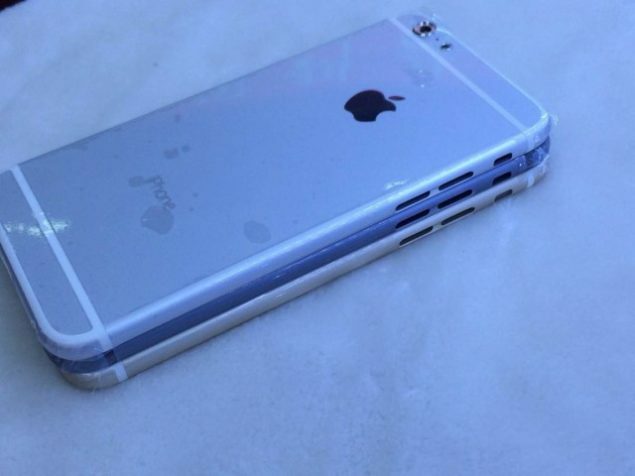 It is in contrast to some earlier rumors which had claim that Apple’s next gen iPhone will come with 2GB RAM. The presence of an A8 chip is a possibility as almost every rumor and leak has been confirming it. We wouldn’t know for sure about the RAM size though as Cupertino isn’t fond of sharing memory details. iPhone 6 benchmark also reveals that the processor will be running at a clock speed of 1.38GHz, which is a tad bit faster than iPhone 5s’ 1.3GH A8 chip. Apple is expected to unveil iPhone 6 at Flint Center, California at 10 a.m. PDT. The 4.7-inch iPhone 6 seems to be the sure shot presence at the event, however, the iPhone 6 Plus (or Air) coming at 5.5-inches may also see an unlikely simultaneous release. Apple is also expected to launch its first smartwatch known so far as the iWatch. iWatch is rumored to come in two different sizes and 8 different color options.